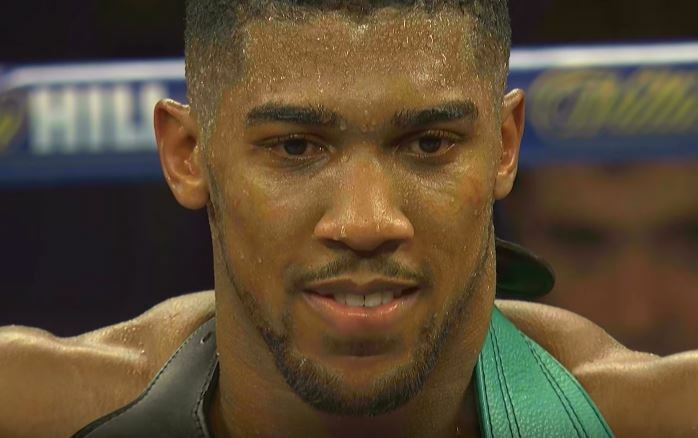 What Anthony Joshua said was the most important thing he learned from his Carlos Takam fight in Cardiff, Wales. While the fight in the end was won by stoppage by Anthony Joshua, Carlos Takam surprised many with his almost super human spirit and toughness to battle on like he did. Particularly after sustaining the injuries he did. Massive gashes above both eyes obscured his vision at many points in the contest – as he valiantly fought on and landed some decent shots of his own. Despite this, the scorecards afterwards painted a fairly heavy picture in favor of Joshua ahead comfortably at the time of the stoppage. As things progressed in the press conference, one interesting question asked to the champion what was the single most important thing he had taken away from the fight. “Different styles make different fights. This fight was completely different from the fight before. As you can see. We were at learning level when we first started. British level. Then we entered into the world level. Now we are at the level where we are trying to own the division. We are fighting against people who want that as well. So they come tough. They come game.